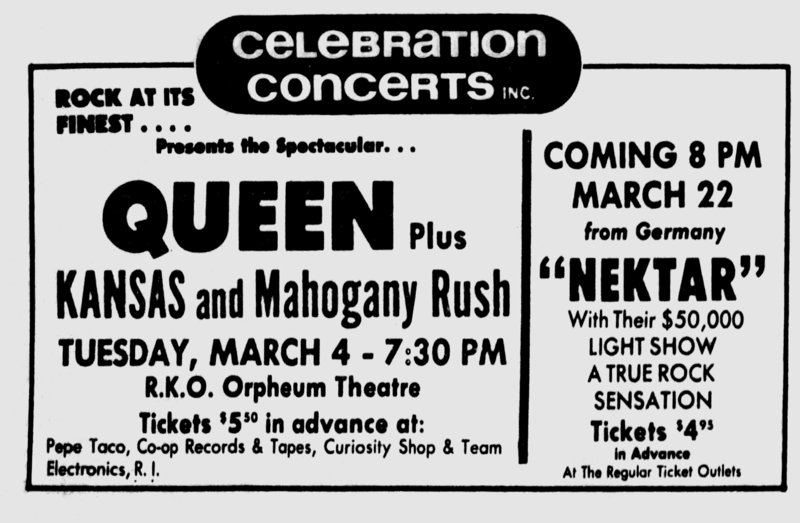 Queen almost missed this concert at the Kennedy Center, a venue usually used for classical music and opera. Freddie's voice had been giving him problems at some shows on this tour, particularly yesterday in Philadelphia. This led him to see a throat specialist in Philadelphia the next morning, only to be diagnosed with throat nodules. It was strongly recommended he refrained from singing or even speaking for three months. 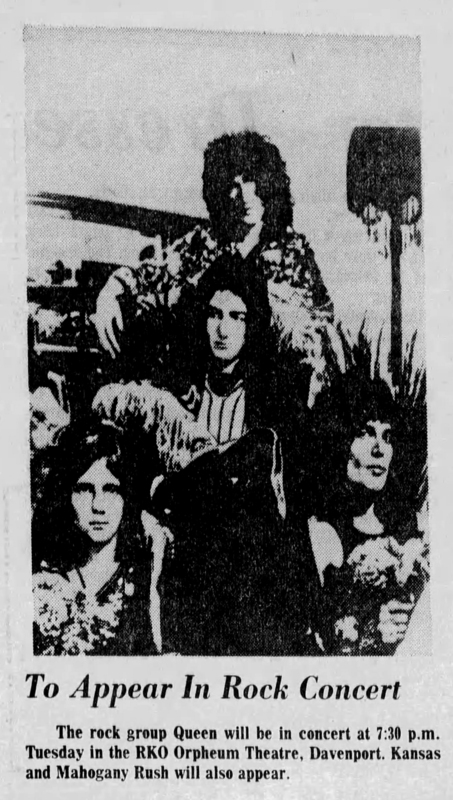 However, the rest of the band were already on their way to D.C. for their next show, and Freddie did not want to disappoint fans by canceling a show on such short notice. 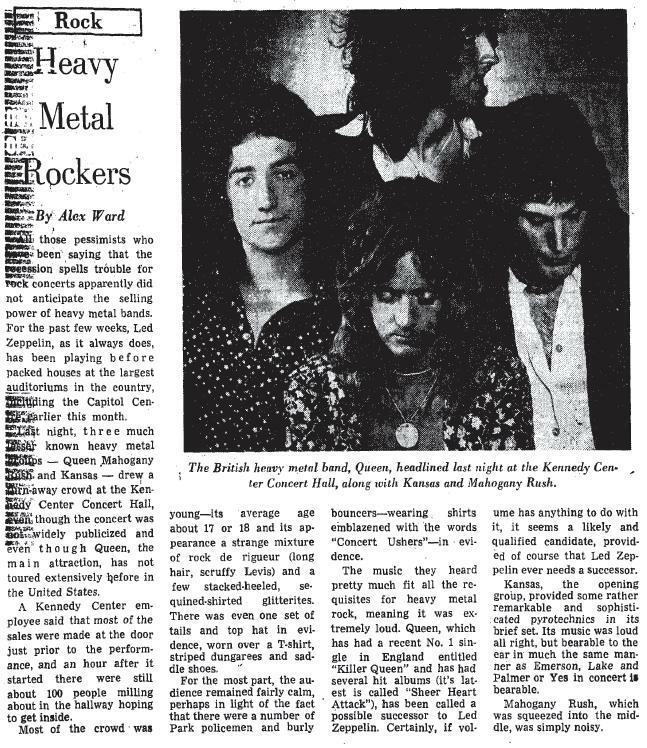 Needing to rush to Washington for the show, Freddie and a couple aides (Dave Thomas and Jack Nelson of Trident Audio Productions, with whom Queen were still signed at this point) boarded a train which only made it to Baltimore, as there was a derailed train on the tracks. Every taxi cab and hire car was booked, so they were forced to wait for the next train, which departed around 5pm (Queen were due on stage at 8pm). Freddie missed soundcheck and the band went on stage only slightly later than scheduled, delivering what was apparently a superb show, especially from the lead singer. Here is a minimally revealing review of the show from the next day's Washington Post. The pictures were submitted by Jeffrey Lee. 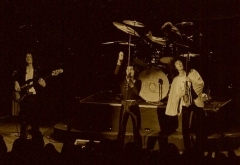 The day after the gig, Freddie got a second opinion from another specialist who concluded his throat was not suffering from nodules, but from swelling. It was suggested he take a couple weeks off. A third diagnosis (from a specialist who had previously treated Tom Jones and Barbara Streisand) also insisted it was merely a case of swelling, but it was, in fact, the original diagnosis that was ultimately correct. 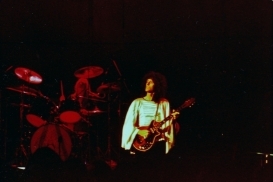 The band would take a week off to allow Freddie to rest. 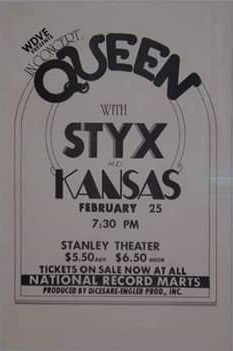 Three US and three Canadian dates would be cancelled (hard luck for the people of Toronto and London, Ontario, as their shows were cancelled in 1974 as well), and the tour would resume on March 5 in La Crosse, Wisconsin. From this point onward, tours would be scheduled with days off between shows as needed so Freddie could rest his voice. The nodule problem would recur over the years, but Freddie refused to undergo any surgery as he feared it would alter his voice irreversibly.